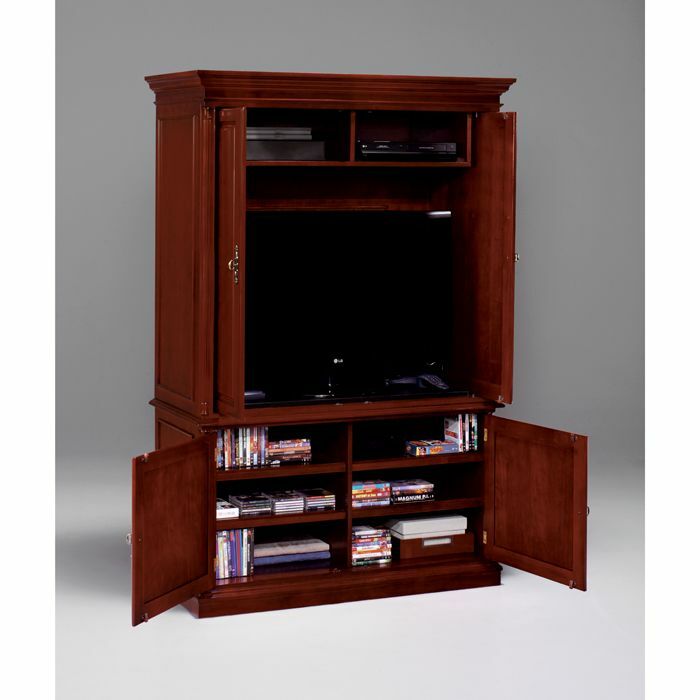 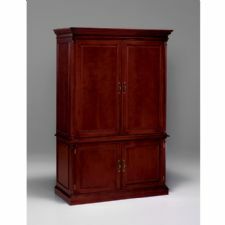 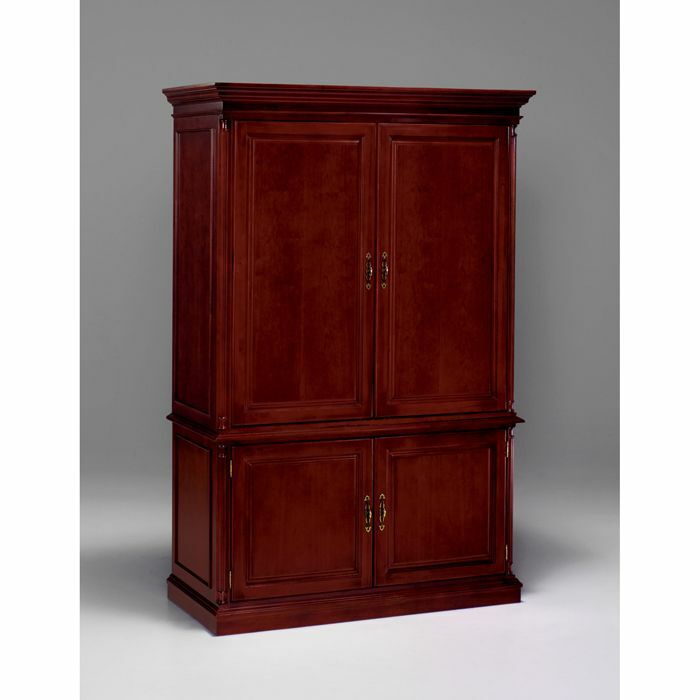 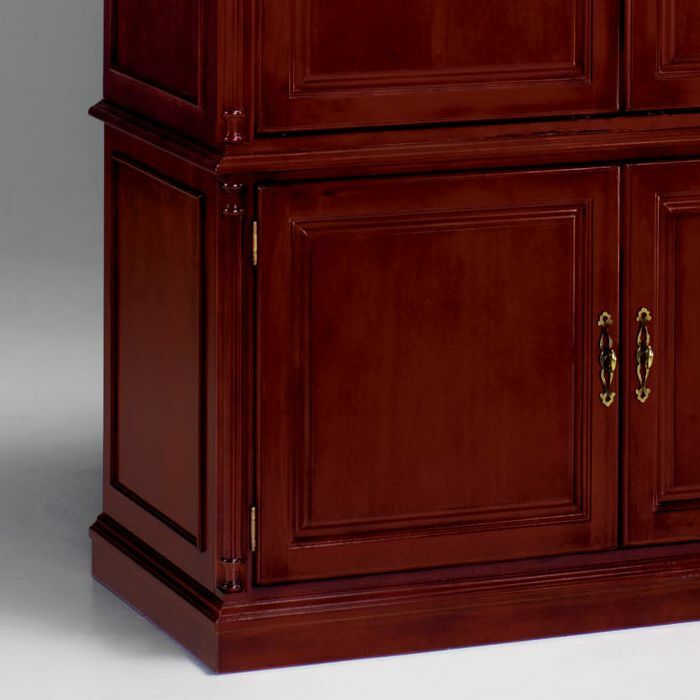 Keswick English Cherry Media Center Cabinet. Top Cabinet: 42” x 21.25” x 36.25” compartment that is cable accessible, Slide-out back panel; pocket doors, Cable ready harness with electrical outlet, Cable accessible top located shelf. 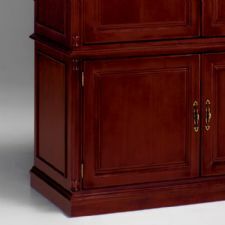 Bottom Cabinet: Two adjustable shelves, Cable accessible.